Arie Noot, a native of The Netherlands and World War II veteran, will be our featured presenter for the first lecture of 2016. 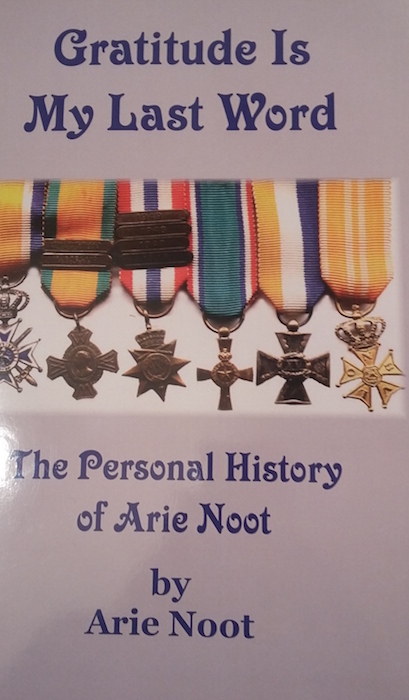 Mr. Noot will relate his experiences during the war, including his association with the Otto Frank family of which Anne Frank was a daughter. He will also be speaking about some of his experiences contained in his personal history entitled “Gratitude Is My Last Word.” It promises to be a very interesting meeting and will be held on Wednesday evening, January 27th, in the Youth Gallery of the Springville Museum of Art. The lecture is scheduled to begin at 7:00 pm.